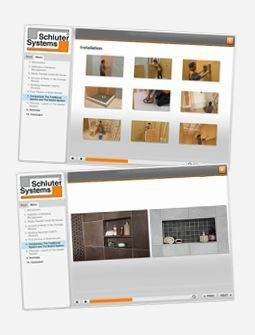 What is the difference between Schluter®-JOLLY and Schluter®-SCHIENE profiles? JOLLY and SCHIENE feature the same design. SCHIENE is designed to provide edging for tile coverings on floors. Typical applications include edge protection where tile is bordered by carpet, at expansion joints, or as a decorative edging for stairs. JOLLY is a finishing and edge-protection profile for outside corners of tiled surfaces on walls. The vertical wall section of the profile provides a decorative finish and protects adjacent tiles. Depending on the particular material or finish, JOLLY and SCHIENE may be used in both floor and wall applications.